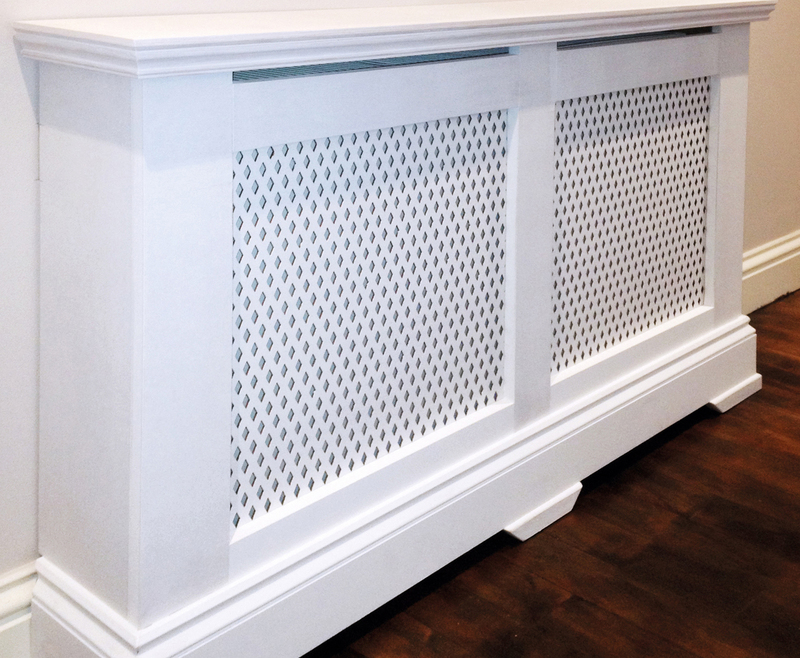 A classic design double panel radiator cover. 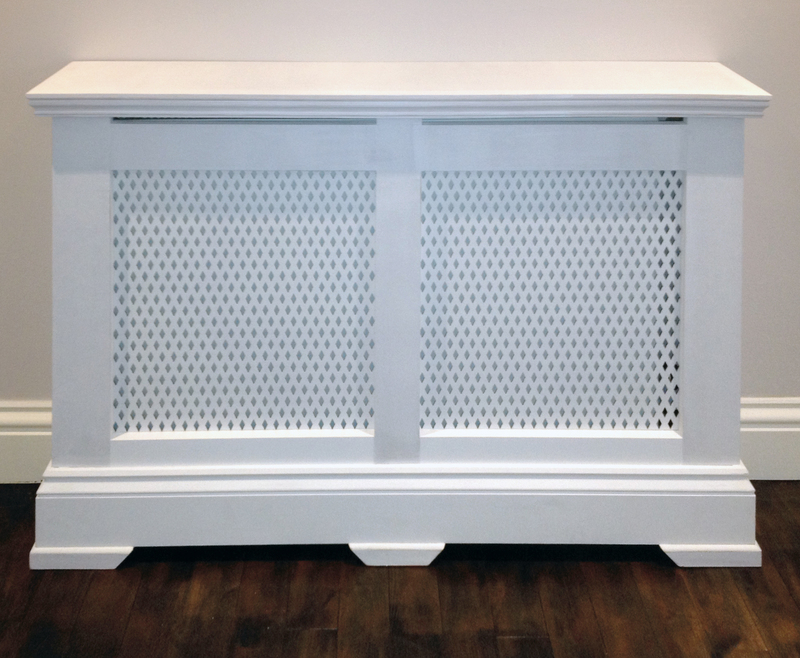 The detailed top and base add interest. Hand painted in a white finish.